Why Isn't My USB Drive Test Recording Macros Being Enabled? If your USB drive test records “Opens”, but not “Macros Enabled”, please check the WebClient service properties on your machine. WebClient is the Windows service that the Macros use to connect to the KnowBe4 servers to record if the Macro has been enabled. If you see within your WebClient Properties that the Startup type of that service is Disabled, then the Macros will not be recorded when they are run. 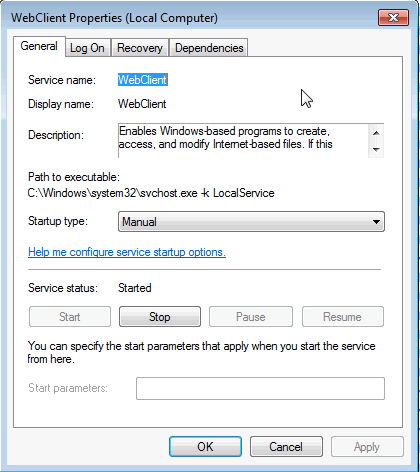 To resolve this, you can set the Startup type for the WebClient service to Manual. You can also use Group Policy to set the Startup type for that service to Manual, for all the computers in your environment. How Can I See the Internal IPs of Users Who Have Failed the USB Drive Test?